Though his beard may make you think he’s related to Zeus, Nick is indeed a mere mortal. With our finite, temporary sojourn on this earth in mind, Nick is an advocate for an holistic, active approach to life, and fitness is key in being able to stay active for life! Besides being a father and husband, Nick is also an engineer and therefore is inclined to always ask, “why?” and to want to know more. 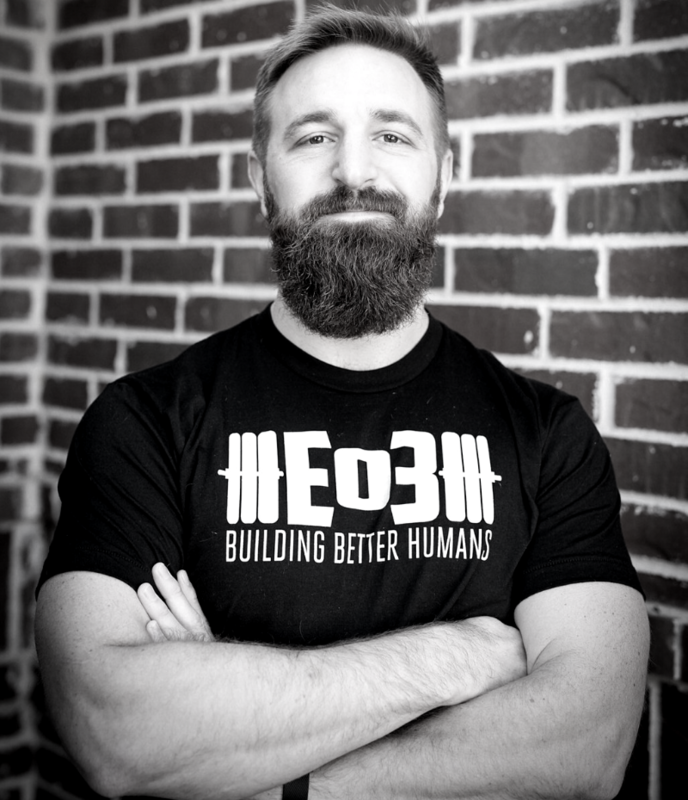 His quest for well thought-out programming (not just random workouts) led him to EO3, where he found objective, evidence-based programming that actually helps people move towards specific goals. After trying out the One Man One Barbell system, Nick joined Garage Gym Athlete and was hooked! After a year as a GGA seeing amazing results, Nick wanted to learn more and understand the “why” behind the programming, so he jumped at the opportunity to become a coach and help others crush their goals the way EO3 had helped him. When he’s not training to be a better human, Nick is likely training for triathlon with his IRONMAN wife, running an obstacle course race, or doing something random to stay active. He’s excited he now gets to help others make their fitness an asset instead of a liability in doing the things they love!